Need more information about booking Home 7251813 ? The field of Olivet Hill is a property planted with olive and argan trees, which will delight lovers of nature, calm and serenity. The main house has a traditional Moroccan lounge, dining room, bar, TV room, kitchen, separate 2 toilets and an adjoining room of 40m2 with a double bed of 180cm, a 90cm wide bed, a small sofa bed for a child, a bathroom with toilet. Another bedroom is also located in the house and has a double bed 180x200, a bathroom and private toilets. The roof terrace of 250m2 offers a 360 degree view. In the olive grove, 5 douarias 45m2 consisting of a bedroom, a bathroom, a separate dressing room and toilet. terrace and garden. All rooms have a bed of 180cm / 200cm, 4 of them a bed 90 / 190cm extra and for one of them, two additional single beds. Infinity pool of 17m by 7m with 1.50m depth. A Berber tent about 40m2, located in the garden, offers a perfect shady area to relax or practice yoga, relaxation, meditation. A caretaker is present 24h / 24 and a gardener. A housekeeper and a chef are present during the day, from 8.30 to 16.45. possible presence in the evening on request. The property is located 20 minutes from the Medina, the beach and the harbor. Golf de Mogador is 15 min. For surfers, kite surfers and lovers of unspoiled beaches, Sidi Kaouki is half an hour. 15 minutes from the international airport of Essaouira 2 hours from Marrakech Airport and 3 hours of Agadir. We can arrange transfers to and from the airport and your car rentals if needed. To move, tourist shuttles are organized and financially affordable family. Car rental is possible and easy to provide. 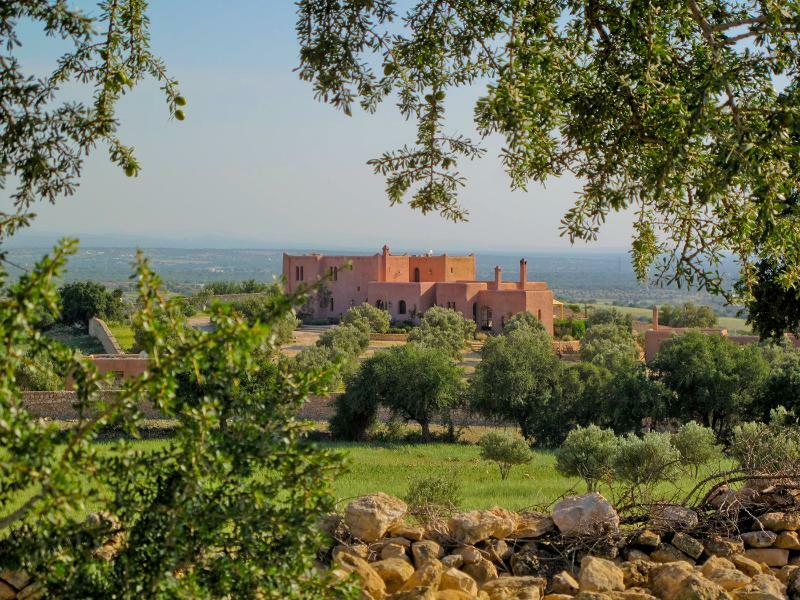 The property is located in the Berber countryside. It should respect the tranquility of the neighborhood and to be discreet on the outside of the house after 22h. You can get in touch with Philippe (the owner) through the contact form on this page. Send Philippe (the owner) an email through the contact form on this page. Alternatively, if there’s a phone number on this page, you can call them. How do I contact Philippe (the owner)? If you’ve already booked, go to Manage your holiday booking to view Philippe the owner's contact details or send them a message. Or send Philippe (the owner) an enquiry through the Contact the owner/manager form if you’d like a quote or more info first. When you pay online through the Book your stay form, a booking request is sent to Philippe (the owner). You’ll find out within 24 hours whether they’ve accepted - no money will leave your account before then. You can also request a quote from Philippe (the owner) through the contact form. The owner will email you the total cost for your dates and a link to book and pay online. Use the Book your stay form to pay provisionally online. You can pay by credit/debit card or PayPal. Philippe (the owner) will have 24 hours to accept the booking and no money will leave your account before then. Why can't I call Philippe (the owner) before booking? You’ll need to contact Philippe (the owner) to do this. Send them a message in Manage your holiday booking or through the contact form on this page. You can request to change the dates or number of people on your booking via the Manage your holiday booking page. To change your holiday dates use the Edit booking button. If you need to change the number of guests staying then send Philippe (the owner) a message. If Philippe (the owner) agrees, they’ll send you a revised quote outlining the changes. You can review and accept/decline this from the Manage your holiday booking page. You’ll have 48 hours to take action before the revised quote expires.